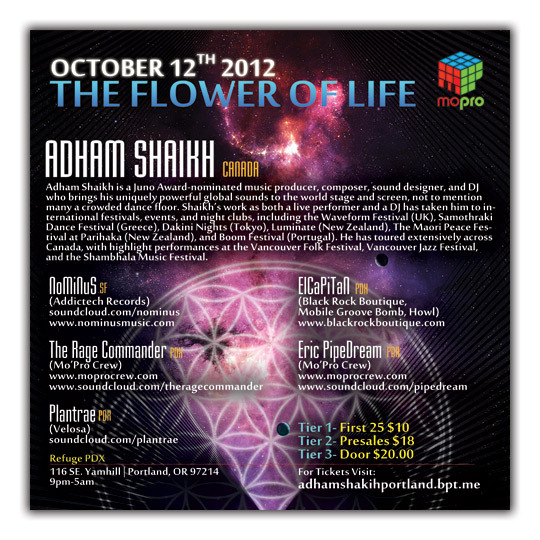 ANY Online ticket will be aviable at the event Under Will Call..
Adham Shaikh is a Juno Award-nominated music producer, composer, sound designer, and DJ who brings his uniquely powerful global sounds to the world stage and screen, not to mention many a crowded dance floor. Adham has scored original soundtracks for numerous film and television productions, including Sacred Planet (Disney Imax), Velcrow Ripper’s Fierce Light (National Film Board, Fierce Light Films), Rainbow Jaguars’ Earth Pilgrim, Word Love (Avanti Pictures), Getting Married (TVO), and Secrets: A Parent’s Guide to the Teen Sexual Revolution (CBC’s Passionate Eye, Make Believe Media), for which he received a Leo Award nomination for Best Musical Score in a Documentary Program. His music has also been licensed to an extensive list of media productions, including Suzuki Speaks (Avanti Pictures). Look out for his latest original work on the upcoming television series The Edge of the World: BC’s Early Years (Knowledge). Shaikh’s work as both a live performer and a DJ has taken him to international festivals, events, and night clubs, including the Waveform Festival (UK), Samothraki Dance Festival (Greece), Dakini Nights (Tokyo), Luminate (New Zealand), The Maori Peace Festival at Parihaka (New Zealand), and Boom Festival (Portugal). He has toured extensively across Canada, with highlight performances at the Vancouver Folk Festival, Vancouver Jazz Festival, and the Shambhala Music Festival. During the span of his 25-year musical career, Shaikh has consistently evolved and diversified as an artist, and the beats continue on. 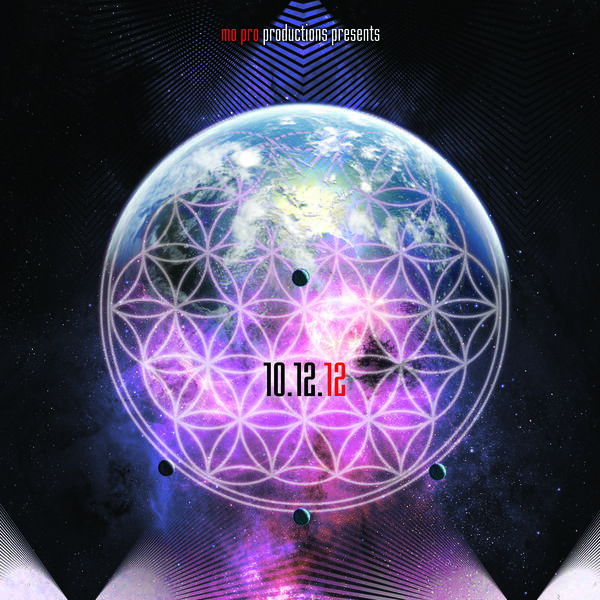 with two very solid full length album releases , Universal Frequencies and Resonance.